In accordance with that and our business development plans, we decided to be in the heart of the happenings and visit several conferences and B2B meetings all around Europe dedicated to various sectors of IT industry. The results are strengthened business relationships with existing clients, alongside with some exciting new opportunities, possible partnerships and projects to come. The Lindholmen Software Development Day is an assembly for collaboration with the aim to bring future success in software development to Sweden. The event offered cutting edge seminars and a meeting place for industry, academia and IT society. 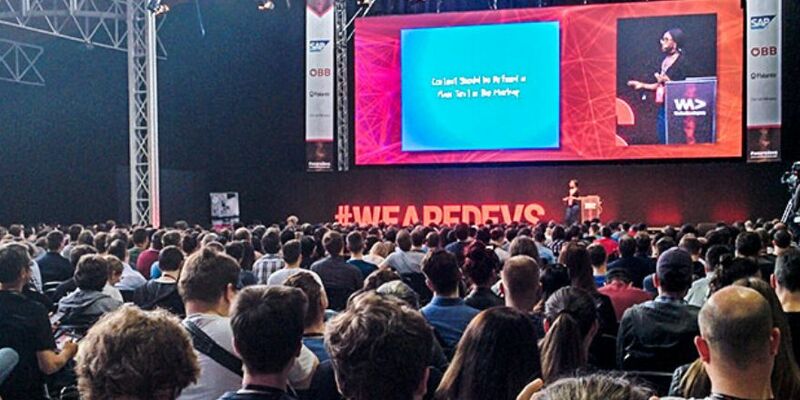 The conference attracted more than 600 participant companies, so it was an inspiring arena for cross-industry knowledge sharing in software development. In accordance with our plans to expand our services and increase activities in Scandinavian region, this was a great opportunity to meet people, present our expertise, learn about the local business culture and share experience with other IT experts. We met numerous CXO’s, innovators, investors, researchers, business developers and entrepreneurs from the field, so it was a great place for linking and networking. This conference was organized with the aim to gather the companies from both the ICT and Agribusiness sector. The idea was to present the current tendencies in both of these two areas, identify opportunities for cooperation, exchange expertise and best practices, as well as to facilitate the matchmaking and encourage mutual collaboration. Key companies of both industries were there, accompanied by the investors and representatives from the Government and several Universities. The Conference presented success stories, pitches, booths, existing products and solutions, as well as demo presentations, so real impression of the existing cooperation between the sectors is provided at a glance. As a company with expertise in AgriTech (www.farm-at.com), we attended B2B meetings between tech companies and some of the biggest farmers from the region, including eminent agriculture experts. Here we exchanged our ideas, introduced our product and learned about additional everyday problems of the dairy farmers, which we will try to resolve with our modern and sophisticated web platform. ICE Totally Gaming is by far the world's biggest B2B gaming technology event that brings together the online and offline gaming sectors. Featuring world-leading innovators drawn from various gaming sectors, ICE provides a sensational global perspective on all forms of gaming. 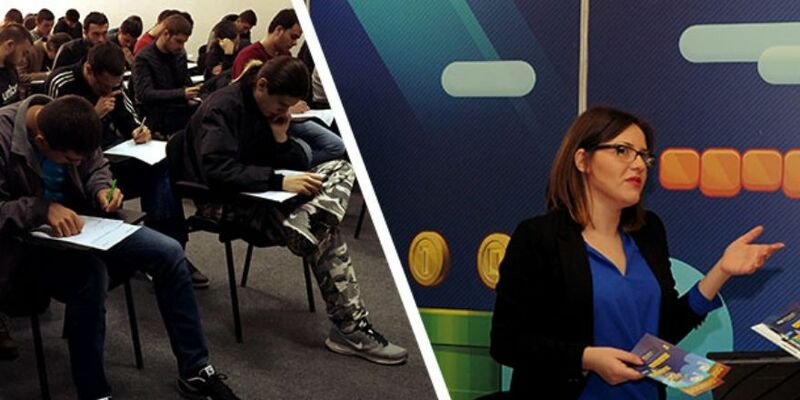 The Conference is a meeting place, market area, educational and debating forum, networking and social hub for the gaming industry, involving the demand and supply side, regulators, third parties, opinion formers and industry leaders. We were present as exhibitors and software support with one of our biggest clients from iGaming. It was an opportunity to meet hundreds of passionate gamers, innovators, enthusiasts and investors, providing us with a fascinating glimpse into this industry's evolution. Austrian Trade Commerce hosted this 4th International B2B event, with this year's slogan "The Future of Digital Business". It offered opportunities to learn more about the latest trends in digital business and find international cooperation partners for research, technology and business projects! More than 350 participant companies from all around the world were present and 850 scheduled meetings were organized. In addition, the small exhibition as a side event featured an interesting mix of start-ups, SMEs, multinationals, research organizations and multipliers as well as information on various national and international initiatives. This was one of the best organized B2B events we ever attended. We managed to schedule around 20 meetings during the two-day congress. Several very interesting contacts were made and we already started cooperation with one of them on a very interesting and hopefully long-lasting project. This year was a turning point for us. We’re evolvING and making new business partnerships along our road to success. And we’re getting recognized across the web! Have you heard about Designrush? As one of the fastest growing B2B portals on the web, Ingsoftware received an early invitation and is now recognized as one of the first software development companies that joined their platform. Thank you for joining us on this exciting blog trip! We will continue to bring you news and impressions from the world’s biggest conferences in the forthcoming period, in order to update you about current trends, innovations and tendencies in the ever-growing IT industry. One of our teams had the pleasure of visiting the largest developers’ summit and playground in Europe. For a third consecutive year, INGSOFTWARE participated at Job Fair organized by BEST (Board of European Students of Technology). The event was held on 6-7th March at Faculty of Electronic Engineering.